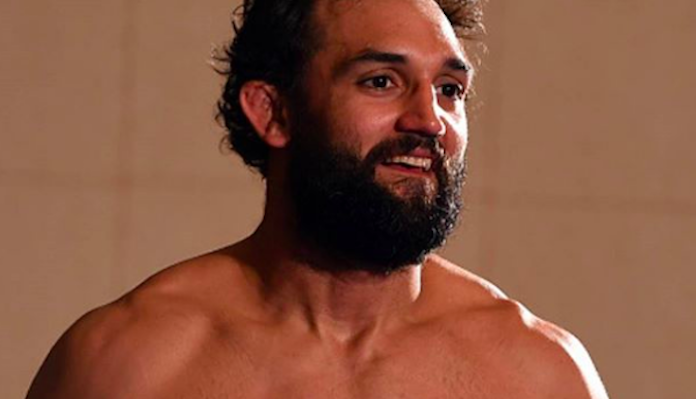 This summer, after a series of losses in the UFC middleweight division, former UFC welterweight champion Johny Hendricks announced his retirement from MMA. 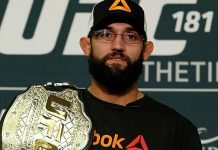 Speaking on The MMA Hour on Monday, the former champion Hendricks explained that his retirement had a lot to do with the UFC’s association with the United States Anti-Doping Agency. Under the iron fisted rule of USADA, fighters are no longer allowed to use IVs to rehydrate after tough weight cuts. For Hendricks, who endured a brutal cut down to the welterweight division’s 170-pound limit, but was undeniably undersized for the 185-pound middleweight division, this made things very difficult. “I think USADA’s a great thing for the athletes, because it’s making people be clean, right? I took 26 tests, never failed one of the them. And that was in two years; I took 26 tests, never failed one of them. But what hurts the MMA aspect is that you can’t [use] IV bags,” Hendricks said on the show (transcript via MMA Fighting). “So, I’m a bigger welterweight, I walk around at 210. I’ve done that since I was 19 years old, walk around at 210, and the IV always brought me back. It helped me get back to life, it helped me get to where I didn’t feel like I cut weight. And once USADA come into play, I had to start walking around like 190 at best, and as you can tell, I do carry a lot of weight … and that’s sort of one reason why it just made it that much harder to make weight at 170. 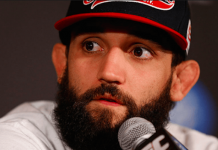 “I’m just not in the sport to just be in a sport,” Johny Hendricks continued. “Does that make sense? I can do other things. If I’m going to do it, I want to be the best, and I know welterweight is my best. That’s where I should be. Now, like I’d said, I loved the fact of USADA and I loved that you do the random drug testing. I just wish that, they have a lot of people that show up at these meets — you want to do an IV, have them test you every day. I’m perfectly fine with that. You show up Monday, you get tested. Tuesday, you get tested. Wednesday, you get tested. Thursday, if you have any pee left, you can get tested on Thursday. They’re there testing the IV bags, they’re doing everything like that, and I think you can bring back IVs, because I think there’s a lot of people that really used the IVs to help them fight better. Johny Hendricks went on to explain just how helpful the use of an IV bag can be for a fighter. 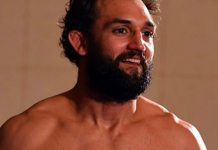 While Johny Hendricks has left MMA behind, his fighting days aren’t over. He recently signed with World Bareknuckle Fighting Federation (WBKFF). He will battle Bellator veteran Brennan Ward, sans gloves, in the promotion’s first show this fall. He’s very excited about this opportunity. “I just got to a point where sometimes it’s how much you’re going to talk to get something,” Johny Hendricks said of his retirement from MMA. “How bad does the press want to follow you? How much are you going to talk trash about this guy, this guy, this guy, to get the fight? And for me, I’ve always been the guy that, talking trash is easy, but for me, I just wanted to try something [different]. Realistically, I’ve wanted to try out boxing for a little bit, and whenever the bare knuckle TV, they came after me, they talked to me, I was pretty excited because I want to see how my hands are. 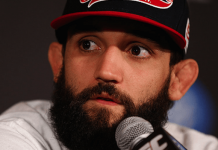 What do you think of these comments from Johny Hendricks?